Mid week, off season, and more. Call us for details! Numerous fishing tournaments for Big and Small Mouth Bass, Northern Pike, Sockeye, and Walleye are scheduled throughout the year. 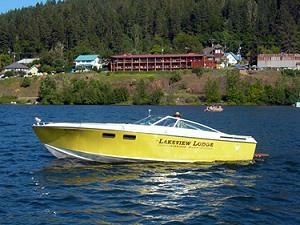 Boaters of all types enjoy the uncrowded waters of the south end of Lake Coeur d' Alene. 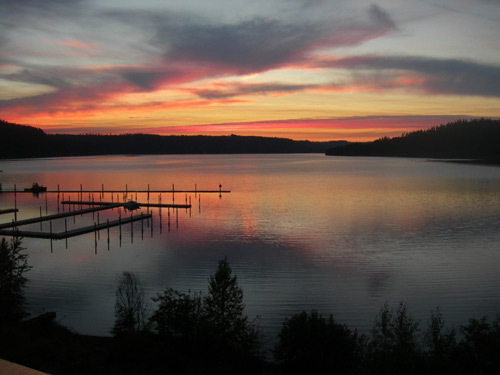 We offer easy access to Harrison's County Marina for boat launching and moorage facilities. 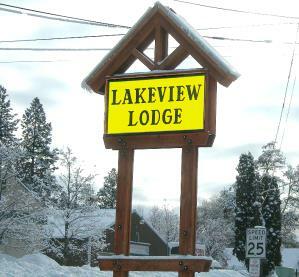 The Lakeview Lodge offers 8 first floor rooms, with three king bed rooms, four rooms with two full size beds and one room with two queens beds. All rooms have private baths, tiled showers, new air conditioners, comfortable furnishings and lake view decks. We also have 6 second floor suites 4 with kitchenettes. 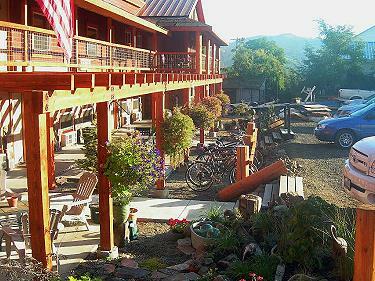 The Lakeview Lodge has been renovated to improve your lodging experience. 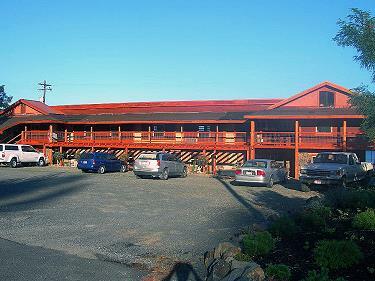 The exterior is almost complete and our guests have been raving over the improvements all summer. All rooms on have been upgraded, including new doors, windows and renovated bath rooms. We have opened 4 new rooms on the second floor. Many new appointments have been added to make your stay as comfortable as possible. All rooms include wireless internet and Direct TV. Check out our progress as renovations continue.